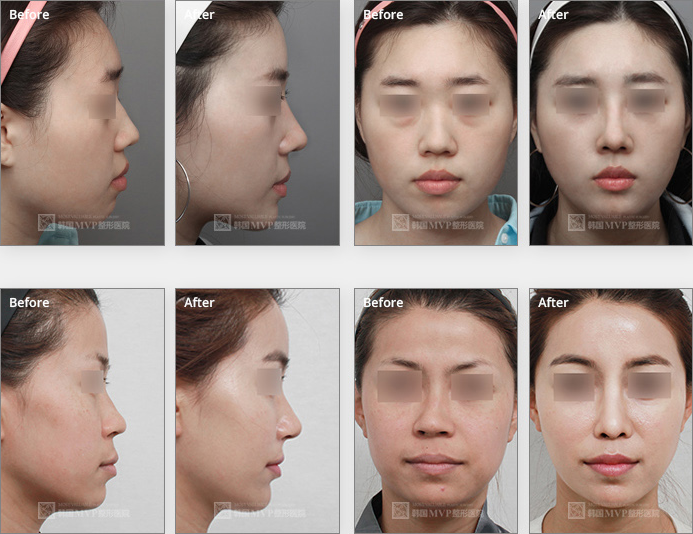 Rhinoplasty is a surgical procedure to reshape the nose to make it more attractive. 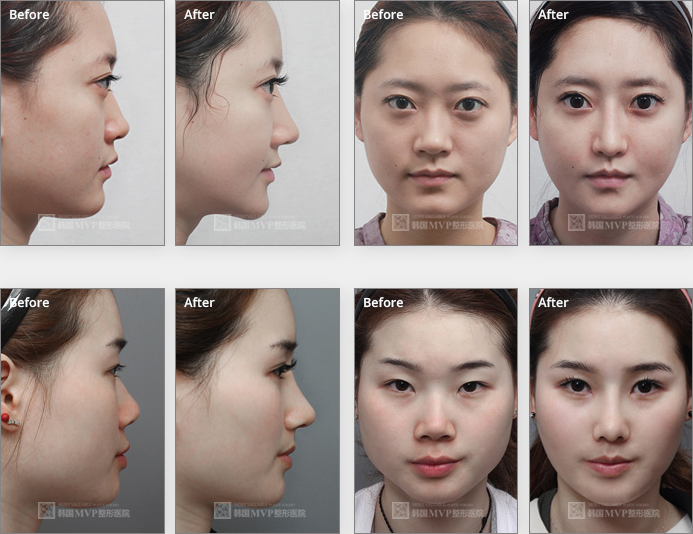 MVP Surgeons usually recommends that patients presenting for consultation regarding rhinoplasty bring photos of hemselves to highlight their aesthetic concerns, as well as photographs of noses they find attractive so that the aesthetic goals of the procedure can be clearly defined. It is important that both the surgeon and patient have a clear understanding of the desired outcome from the rhinoplasty procedure. One of the most difficult maneuvers in rhinoplasty is the correction of a foreshortened or over-rotated nose. The key to improving the short nose is having adequate support to maintain the nasal tip in its new counter-rotated position. There are several cartilage grafting techniques that can be used to create the proper internal nasal structure to allow a rhinoplasty surgeon to counter-rotate the nose and maintain it in this new position. Septal extension grafting is the most performed technique involves using a portion of septal cartilage to lengthen the front edge of the nasal septum. This extension graft is sutured to the existing nasal septum providing a very strong, stable support structure. The cartilage graft can be made wider where it attaches to the tip allowing the tip to be pushed further downward, creating a more counter-rotated appearance. Rhinoplasty surgery to correct a bulbous, or wide, nasal tip requires reshaping of the lower lateral cartilage. But how do you take broad, rounded, and wide lower lateral cartilage and create a narrow, triangulated, more refined nasal tip? As in many other rhinoplasty deformities, there are several options available to the experienced rhinoplasty surgeon when it comes to reshaping a bulbous nasal tip. Cephalic Trim Technique : One option is to reduce the size of the lower lateral cartilage on each side to create a smaller, less bulbous nasal tip. Suture Reshaping Technique : Another rhinoplasty technique that can be used for a bulbous nasal tip involves suture reshaping. In some rhinoplasty patients who have more favorable anatomy, sutures alone can help address the excessively wide, rounded nasal tip without having to trim the cartilage. Cartilage Grafting of the Nasal Tip : An alternative technique for managing the bulbous nasal tip involves use of cartilage grafting to reshape the lower lateral cartilage. When the tip of the nose droops it gives an undesirable appearance to the entire face. The droopy tip is typically caused by abnormalities in the shape and size of the lower lateral cartilages. With advancing age, as the connection between the upper lateral cartilages and lower lateral cartilages further weaken, droopy noses tend to become even droopier. Correction of the droopy nasal tip helps improve the profile of the nose and of the entire face. The individual appears younger, more attractive, and more alert and energetic. 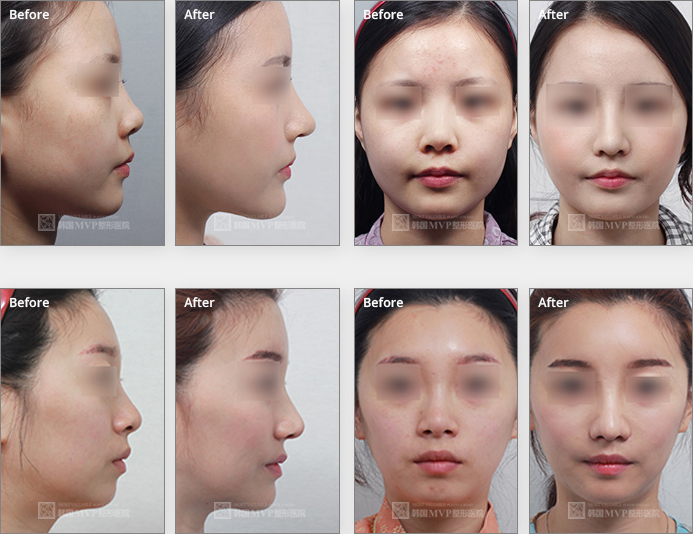 By bringing up the tip, the appearance of the hump on the bridge of the nose is also improved. Osteotomy is a term used to describe surgical procedures during which bone is divided or a piece of bone is excised (as to correct a deformity). In most rhinoplasty procedures, some form of osteotomy is usually required, to move or modify the osseocartilaginous vault, which comprises a major part of the nose. In rhinoplasty, osteotomy may involve the 'excising' or 'breaking' of bones in the nose. 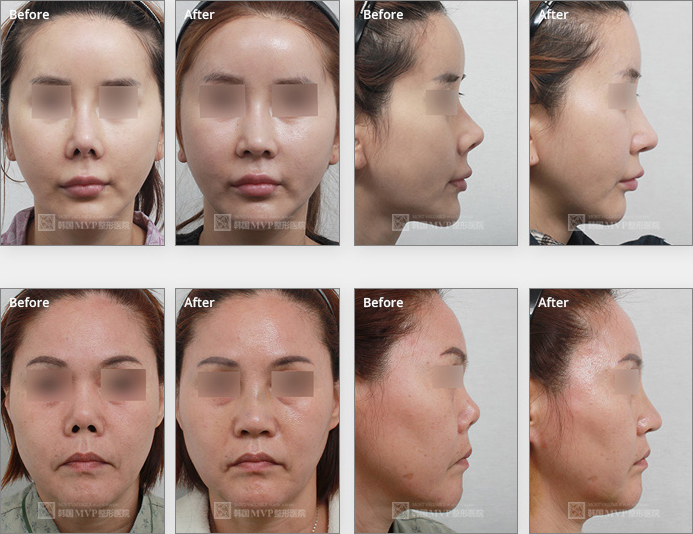 It is performed to correct a nasal hump, enhance a twisted nose, or make a wide nose narrower. The shape of your nostrils has a great impact on how easily you can breathe, and asymmetry of the nostrils may need to be corrected in order to improve your respiration. In many cases, however, people may choose to correct asymmetric nostrils to improve their appearance. Rhinoplasty is a plastic surgery procedure that refines the shape and size of the nose and nostrils to improve the patient’s ability to breathe, as well as to provide an attractive, proportionate appearance of the nose. Asymmetry of the nostrils may be a result of genetics or it can be caused by physical injury or previous nasal surgery. Correction of the nostril may involve the reshaping of the bone or the cartilage. When correcting asymmetry of the nostrils, the cartilage and soft tissue are altered and reshaped to a more pleasing appearance. Perfectly symmetrical nostrils may not be the end result. The goal of rhinoplasty is to create a natural looking appearance. Faces are naturally slightly asymmetrical. 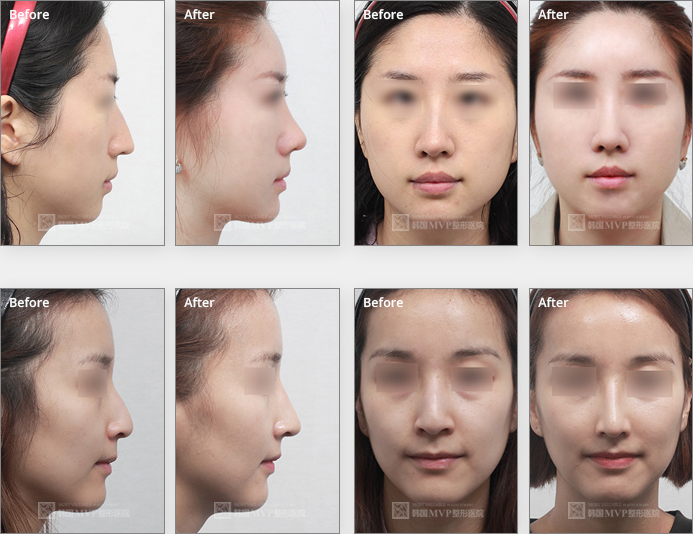 Rhinoplasty will give you symmetrical nostrils that look balanced and harmonious with the rest of your facial features. Revision rhinoplasty is a challenge for facial reconstructive surgery. Previous surgery makes revision more difficult. 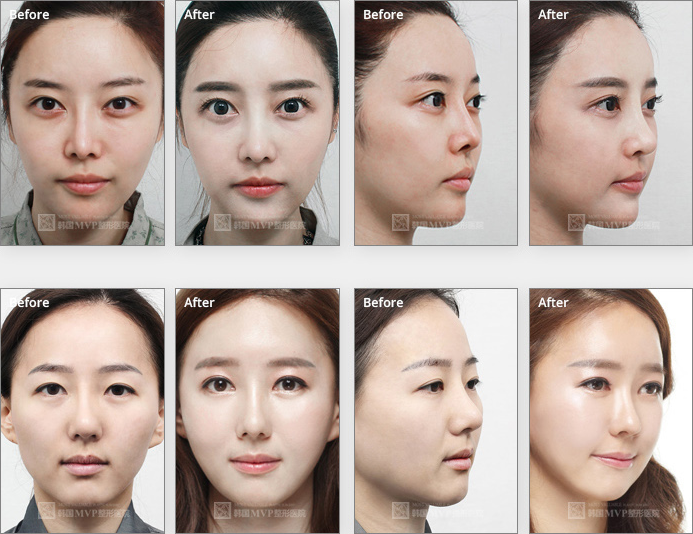 The procedure requires detailed preoperative evaluation and planning to correct the key deformity and reconstruct the internal support, external soft tissue, or skin of the nose. Revision rhinoplasty can range from a simple procedure to remove some residual excess bone or cartilage in the nasal bridge to a very complicated complete overhaul of the nose. 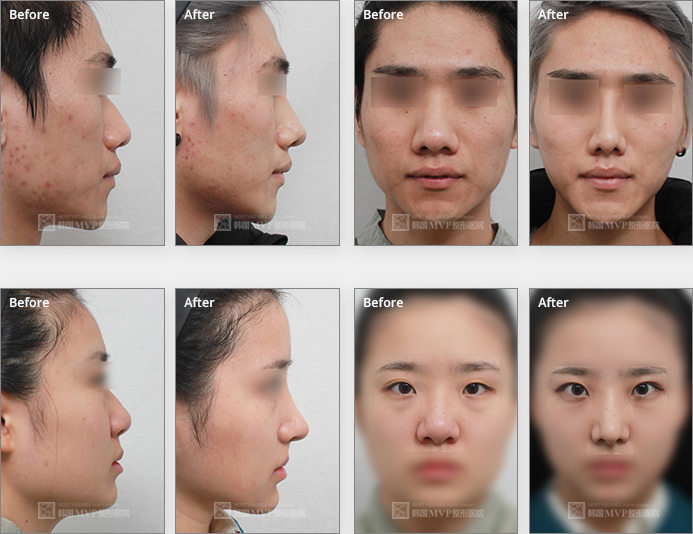 Revision rhinoplasty is performed on an individual who has had the misfortune of having too much tissue removed and has severe residual deformity; these patients are generally considered the most difficult type of rhinoplasty. Such surgeries are usually long and complicated affairs that require the use of tissue grafts harvested from the ear, rib or temple region to restore the necessary cartilage, bone and fascia that may be necessary. One of the most difficult maneuvers in rhinoplasty is the correction of a over-rotated upturned nose. Such nasal foreshortening can occur from side effect of prior rhinoplasty surgery. The best timing for revision surgery is a balance between allowing the post-operative tissue swelling to settle down and the nasal skin to relax versus not wanting to wait too long as the nasal skin will continue to shrink wrap which can make it more difficult to stretch it out over the newly reconstructed internal nasal framework. There are several cartilage grafting techniques that can be used to create the proper internal nasal structure to allow a rhinoplasty surgeon to counter-rotate the nose and maintain it in this new position.